come "like" our facebook page and just tag yourself in any picture in this album and you may just be the lucky winner! camera strap & carpe diem clock - giveaway winners! i am SO sorry about being 3 days late to post the giveaway winners! thank you ALL for entering and helping to spread the word about our giveaway! 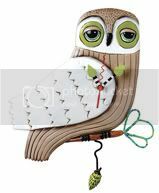 i thought it would be nice to add this effervescent (our studio word of the week) pendulum clock to the mix. i'll draw 2 winners next thursday instead of one and you can choose a camera strap or the clock! go here for details on how to enter. camera strap & clock goody giveaway! i've had these last 3 camera straps laying around the studio from my camera strap making days. so i thought... why not offer one as a giveaway! who better to give one to, than one of you! 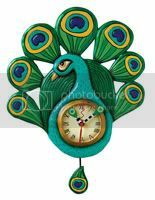 i've just added this carpe diem clock to the giveaway. so thursday i'll be drawing 2 winners instead of just one! 1. Leave a comment on this post telling me what you like to take pictures of or maybe what you like to do in your spare time. 2. Share us with your friends on Facebook or Twitter using the share buttons at the bottom of this post. and leave a comment letting me know you did. 4. Post our giveaway on your blog! (worth 3 entries!!) Feel free to pull this image to use on your blog. And don't forget to leave me a comment so I know you did. contest will close Thursday, Nov. 17th. you could pick it up at our annual studio sale! otherwise we'll send it to you. international entries are welcome with shipping included on the camera strap only. win a $50 shopping spree to close2myart! i'm so excited to be learning so much about you all! thank you for sharing and all your comments this week. but i'm feeling a bit overwhelmed with so many of them that i'm not going to be able to this time. leave a comment below telling me something interesting...maybe your plans for the weekend, your dream job, favorite meal you cook or something interesting about you. we'll draw the lucky winner tonight at midnight (PST)! don't forget to visit again tomorrow for the final giveaway day! there were so many heart wrenching and worthy nominations it was a very hard choice. i asked my friend who is completely unbiased to do the picking for me. win a $50 shopping spree for them to close2myart! nominate someone you think could use a little pick me up or just a prize. comment below telling us who & why. don't forget to visit again tomorrow for another giveaway day! happy wednesday & thank you for playing! visit our website and come back here and tell us what your favorite item is. thank you all for the love and sharing yesterday! this is going to be a week of fun!!! 5 day giveaway starting monday! beginning monday, august 1st we'll be doing a contest everyday for 5 days. 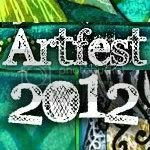 each day giving away a $50 shopping spree to close2myart !! !